Home > Knowledge Center > Does Artificial Grass Feel Like Real Grass? 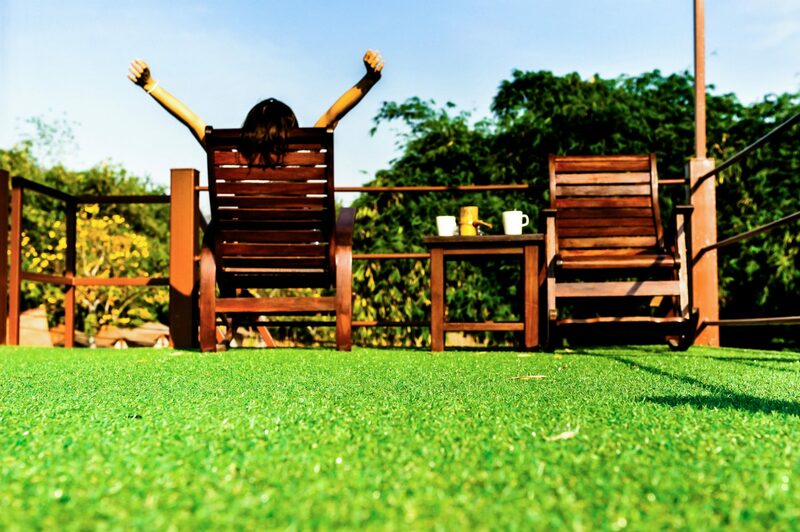 Artificial grass lawns can be seen throughout Southern California in rapidly increasing numbers as more homeowners become aware of the many benefits of this drought-friendly landscaping option. It is becoming common knowledge that homeowners can completely avoid the need to irrigate, mow, edge, fertilize or aerate their lawns simply by replacing their natural grass with synthetic turf. This is, of course, increasing the interest in manufactured grass products, particularly among those who want to conserve water and those who want to have a beautiful yard that does not require hours of maintenance every month to keep it looking good. For some homeowners, a lawn is more of a status symbol or is used as transitional landscaping to soften and enhance the space between the street and their home. For these folks, the importance of a lawn lies primarily in its visual appeal, in which case their main concern would likely be whether or not fake grass looks like real grass. 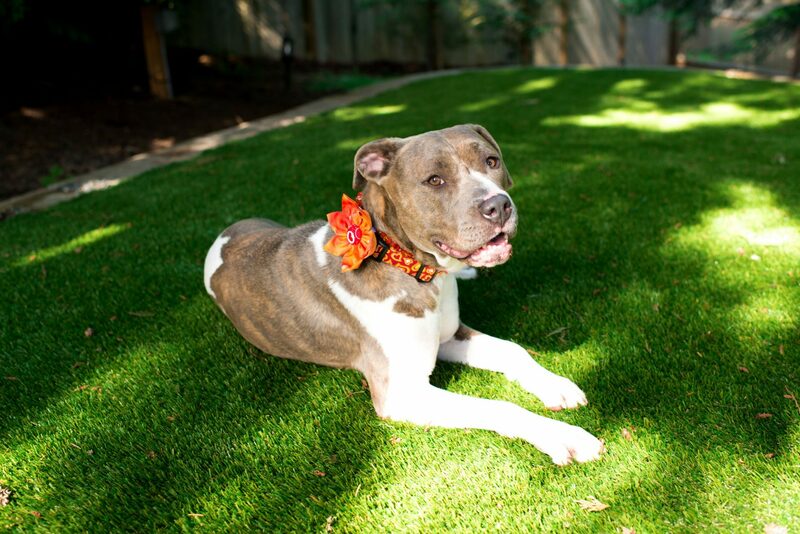 For those who also plan on using their lawns, such as for children and pets to play on, for guests to walk on, or for lounging or entertaining, it is also important that their artificial grass feels like real grass. Those who have seen synthetic turf lawns either in person or in photographs online while researching know that huge strides have been made in manufactured grass technology and that today’s fake grass lawns do, indeed, look like real grass. Rather than going too far into the details of what makes synthetic lawns look real, I recommend reading Find Out What Makes Artificial Grass Look Real to fully understand just how – and how well – modern turf simulates the look of conventional grass. There is, of course, one significant way in which the look of real grass and the look of fake grass greatly differs. Artificial grass consistently looks lush, green and inviting, while natural grass often has bare spots, brown spots, or an appearance that varies depending on the season, the amount of irrigation, and the number of hours you are willing to spend to fertilize, re-seed, pull weeds and manicure the edges. Most folks interested in replacing their lawn with this low-maintenance option know that is looks like natural grass, but many still have a very reasonable question: Does artificial grass feel real? While some folks may mostly be concerned about how it looks, how it feels is incredibly important. After all, if your lawn will be used for playing, lounging or even just walking across to get to your garden or outdoor living area, you do not want it to feel like you (or your guests) are walking on plastic. There are several factors that go into simulating natural grass. The first is grass blade technology, which is incredibly important because this is integral to making your manufactured lawn look, feel and respond like natural grass. The shape of the blade determines how your lawn will reflect light, how well it responds by springing back up after being stepped on and how it feels under bare feet. Another important factor in making fake grass feel real is the infill. Both choosing the right product and ensuring that it is properly installed are essential to your artificial lawn simulating the feel of a conventional lawn. Quality infill that has been properly installed is what gives a manufactured lawn the soft, cushiony feel of walking on soil. As long as you choose a reputable artificial grass installation company that uses a high-quality product, you can rest assured that it will be properly installed and will successfully simulate the feel of a natural lawn. With that being said, it should be noted that higher-quality synthetic turf and infill are going to look and feel more like natural grass. As you would expect in any industry, lower-quality products may miss the mark and you are much more likely to notice significant differences when comparing low-quality manufactured grass products to natural grass. This is another reason why it is important to stick with high-quality products and professional installation if you want to make sure that your lawn both looks and feels as real as possible. While both synthetic and conventional lawns can offer a lush, soft, comfortable and welcoming feel, there are a couple of differences of which you should be aware. The first difference is that properly installed artificial grass has an even, level surface that will feel different than the clumps, divots, hills and dips that are often found in natural grass lawns. The second difference that should be noted is that synthetic turf can feel hotter than natural grass lawns in direct sunlight and on particularly hot days. This can be managed by providing shade for areas that are frequently used in the middle of the day or by spraying the lawn down with water to cool it off. 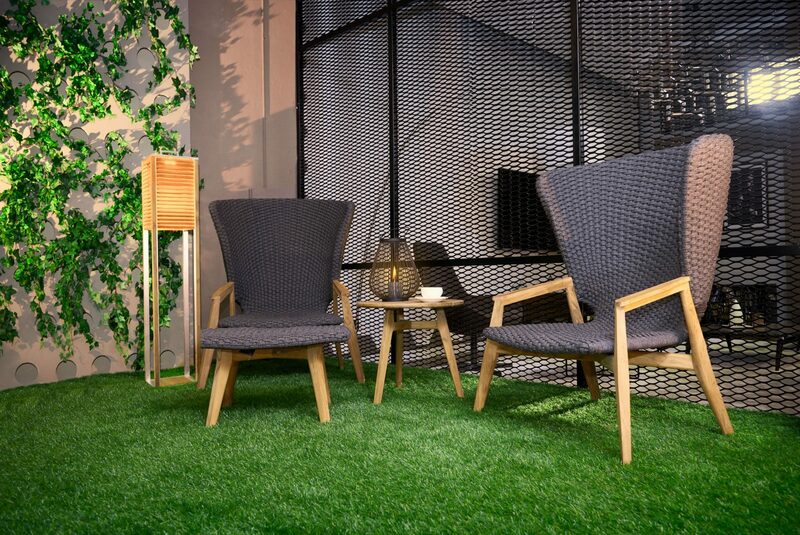 You will also find that the temperature of fake grass drops quickly when shade is introduced (such as with an awning, canopy or umbrella) and when the sun changes position. Fun side note: For folks who want a lawn that looks, feels and functions like natural grass and would also like it to occasionally smell like it has just been cut, there are even products you can spray on your artificial turf to make it smell like freshly cut grass. Does Fake Grass Feel Real? Find Out in Person! Rather than simply taking our word for it, we encourage you to give us a call at (805) 925-3000 to speak to one of our design consultants. He or she can answer any questions you may have about artificial grass or the installation process. 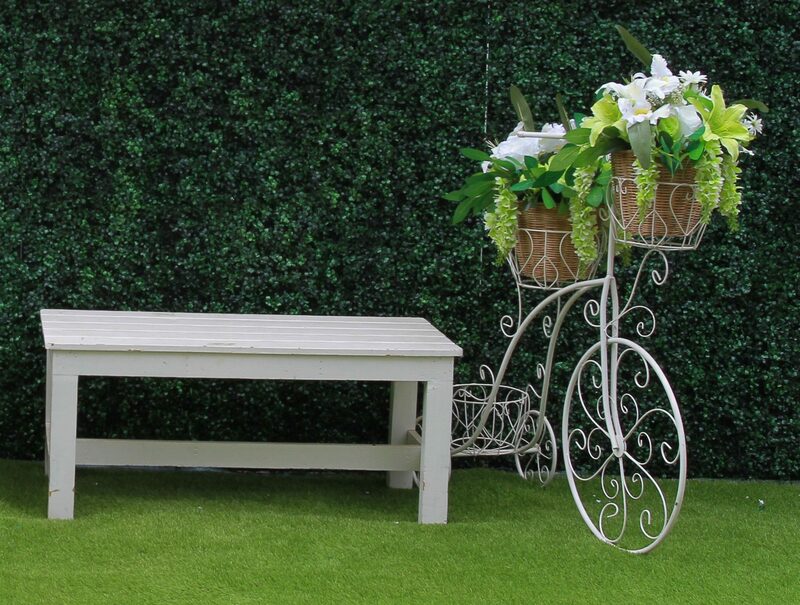 We can also arrange for a design consultant or installer to bring samples of our products to you for you to touch, which is really the best way to make sure that you like the way it feels and that artificial grass is the right choice for your home.